Once upon a time (circa 2008), I was very much into crafting blogs and found a sort of peace and belonging in that community. 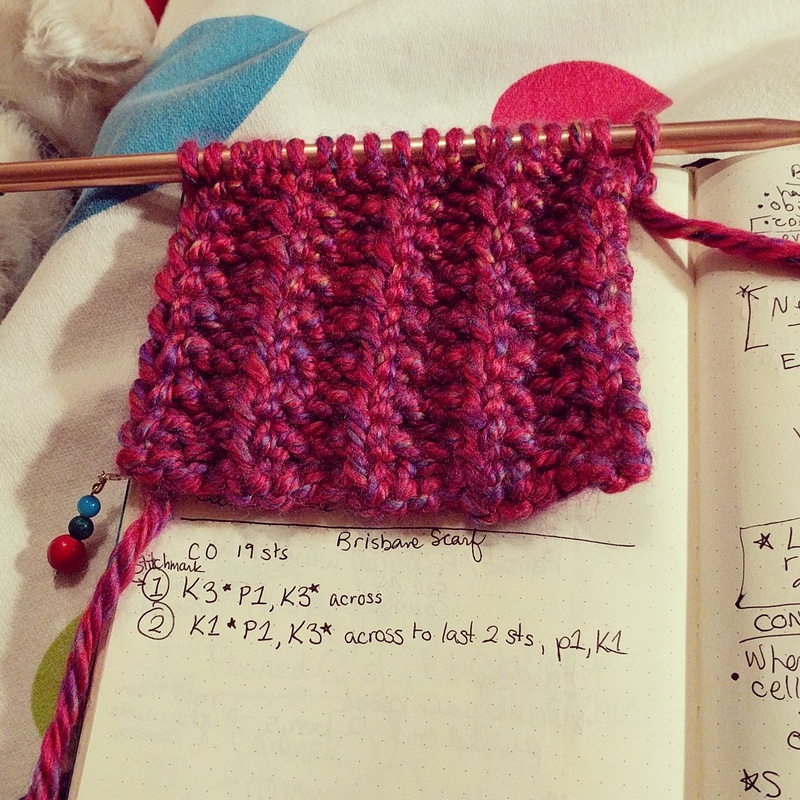 So, since google reader is gone (#RIP), I flooded my facebook with knitting, crochet, loom knitting, and bullet journal groups to get away from all of the arguing and hate and to recapture a peaceful corner of the internet. 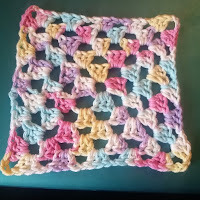 It inspired me to find my way to The Crochet Crowd over on YouTube and finally learn how to crochet. 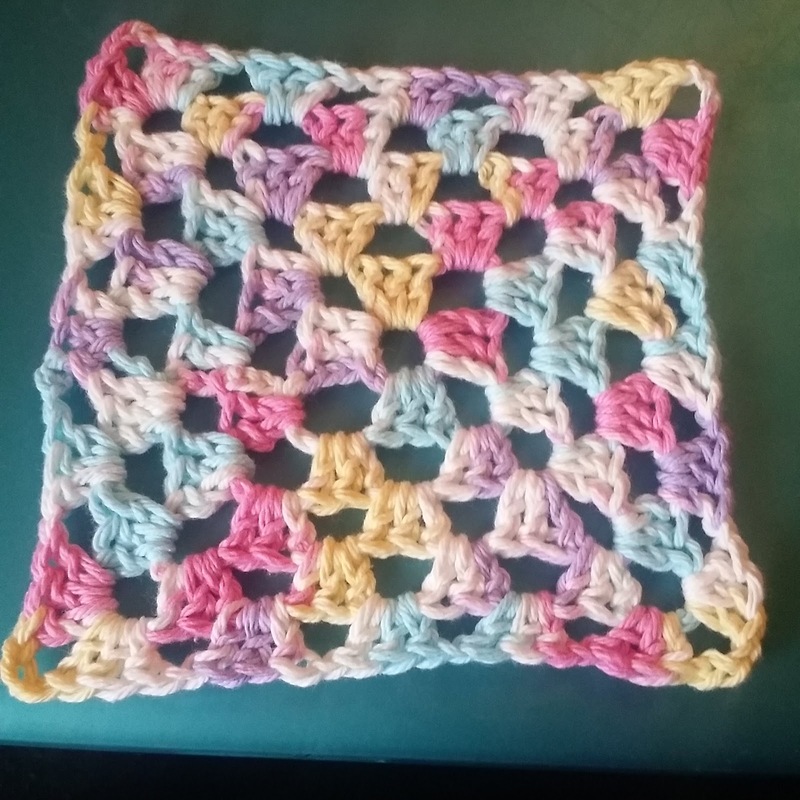 I played around with some cotton and attempted to make a washcloth at first, but lesson learned- making even edges requires counting. 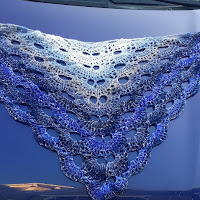 Instead, I discovered Bella Coco's excellent tutorial over on Youtube to do the "virus" shawl. It turns out, the pattern became viral, and you could definitely tell in the Facebook groups this year! 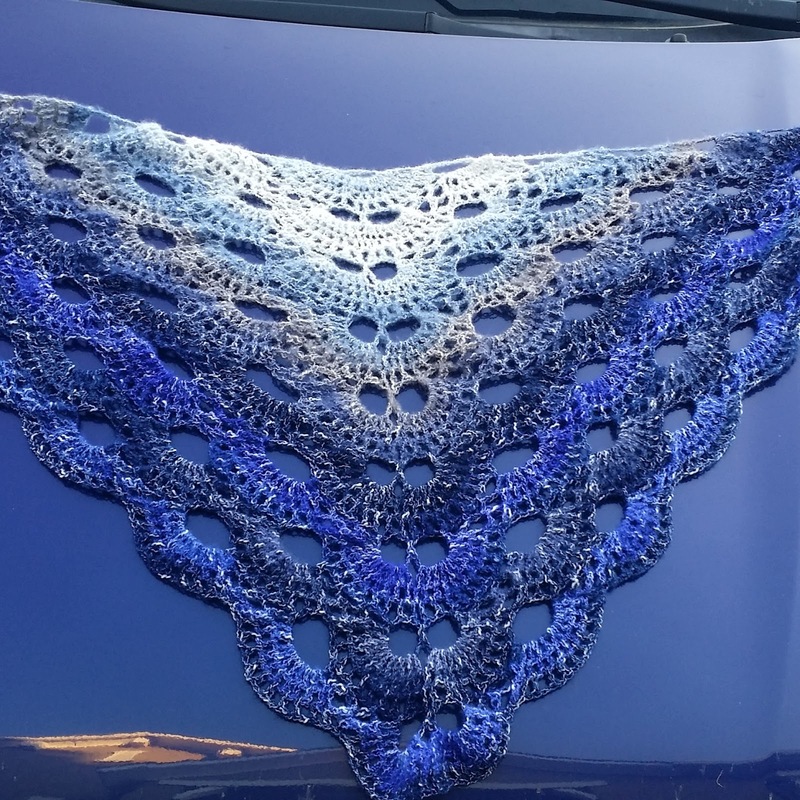 I used Lion Brand's Shawl in a Ball, and I gifted this project to my mom for her birthday. I learned that Youtube tutorials are an excellent way to learn new stitches or basic patterns. Better late than never! 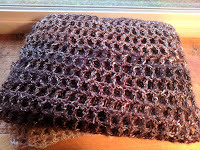 I made this window-pane inspired scarf using Lion Brand Shawl in a Ball Metallic. I made this project mainly during meetings at work, which was easy to do with the simple mesh pattern and one ball. This became a Christmas gift. Oh the siren call of big projects I haven't yet finished.... I made a whole pile of granny squares this year. They are easy enough to do, and they are easy to fit in my bag to work on during spare moments or in meetings. 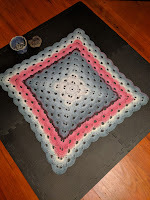 The problem was that since I used cotton yarn, and I need to a) block, b) lock in the color so it won't run in the laundry, c) decide on a method to join the pieces together. 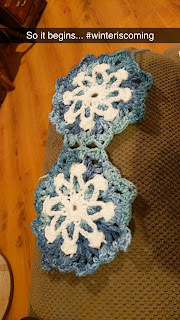 For the Dusty Snowflake Afghan, I enjoyed creating the motifs and have connected several more since this photo. I haven't moved on very quickly however since the two colors of the motifs requires that I carry around two skeins of yarn. I'm using I Love This Yarn in a variegated blue and a white. I hope to complete both of these projects early in 2018. We will see. I also fell a little in love with baby blanket sized corner to corner projects! The great thing about using something like Caron Cakes (original kind) or Caron Jumbo Baby Skeins, is that I found that you can use one cake or skein for the increase side, and one for the decrease side. 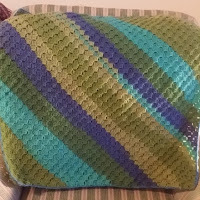 They are easy projects to carry around, easy to do while watching tv, and come in interesting and baby-friendly color and textures. 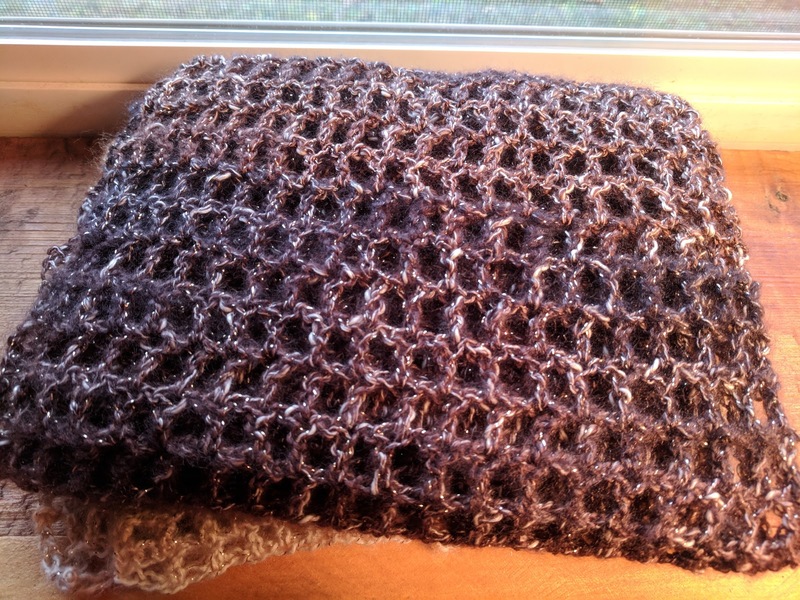 The C2C pattern also creates a tight fabric without a lot of holes. 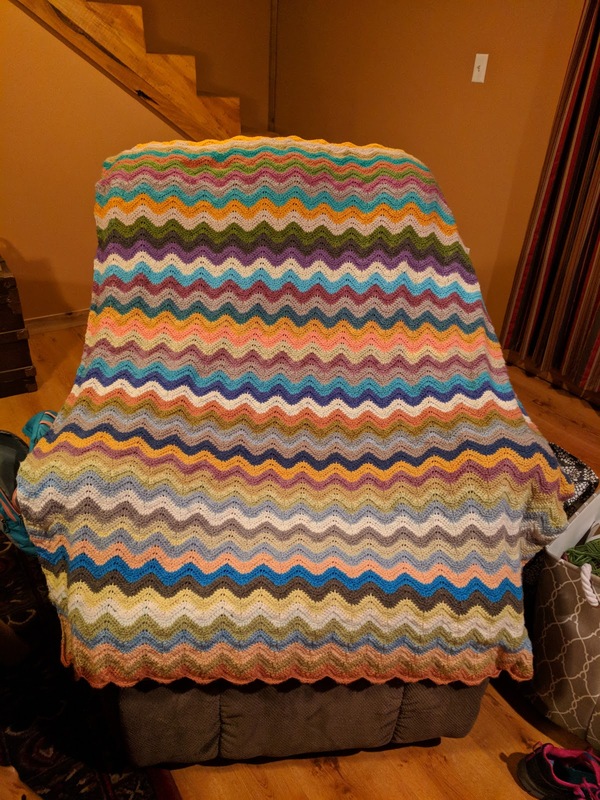 I know that Caron Cakes has some wool content that tends to make folks nervous about laundry, but all of these projects have turned out just fine in the machine wash and dry! 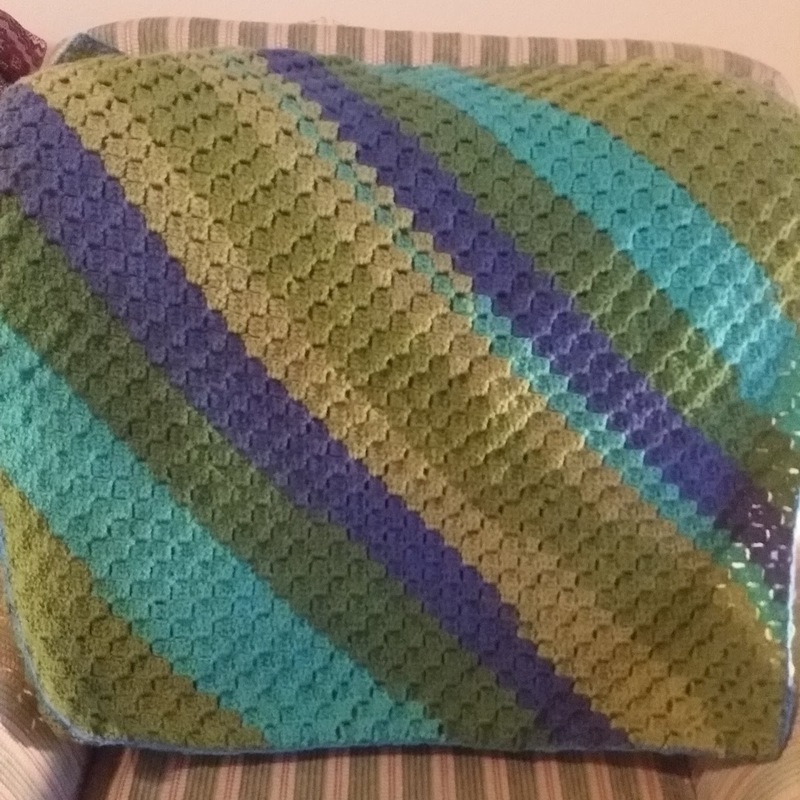 My 2017 Magnum Opus: a basic ripple pattern I modified from The Crochet Crowd's 2015 stitch game. I had grabbed an assortment of original Caron Cakes as they were on sale, and I just wasn't in love with any of the smaller projects I saw. 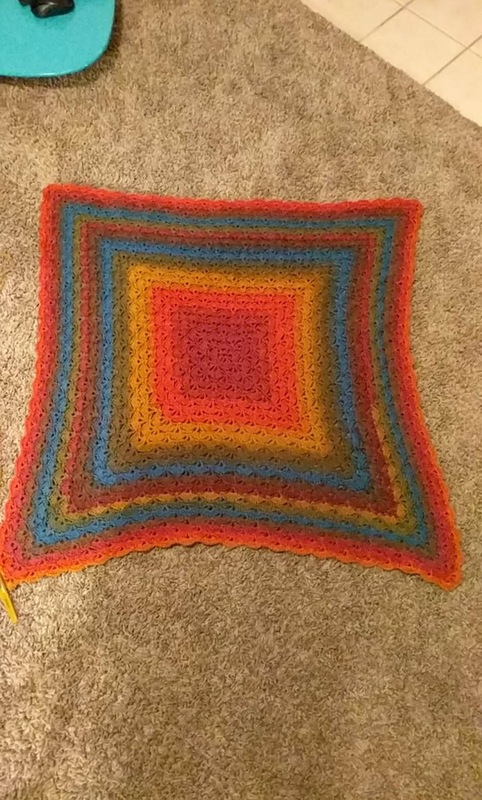 As I looked at the colors together, I thought I would try a ripple blanket. I learned how to do color changes, and for the first time with a back and forth design, I actually ended up with straight edges! I started this project in July, and by the time it was long enough to cover my feet, it was getting cold. I finished it in time for Christmas Eve, and gifted it to my mom. I originally intended to include a border, but ran out of time and, frankly, patience. Coming soon in 2018...I started this beautiful shells pattern in Lion Brand's Mandala Chimera.I thought it would be a baby blanket, but I think I am going to keep going into a throw. I really don't have a clear plan, and I'm okay with that! I've recently also attempted needle knitting. I've wanted to learn how to knit for years, and well, so far, it's been a struggle. I've twisted most of my stitches, and have struggled to finish a project, especially when I've become pretty fast at crochet. However, after doing some reading, and listening to the first 100 or so episodes of Knitting Pipeline, I am determined to get better! Go to YouTube for video tutorials- seriously. Patterns aren't scary- I just need to go slow and steady. I like portable projects best: especially baby blankets! Beware the siren call of afghans- they are a commitment! Oh, how I love buying yarn....but actually in writing all this up, I notice that I've mostly used just a few types of yarn. I want to use up more of my stash of yarn this year and do less shopping without a project in mind.